So you want to start a blog. Well, you’re in good company – there are over 450 million blogs on the Internet. The technology supporting the dot-com world has become more user-friendly and as businesses begin to fully realize the potential of social media as a marketing tool. Blogging has become more than just an online outlet to record your personal rants and raves about how much you love jeggings or why you wish you’d never signed up for that 7 a.m. spinning class. It’s a way for you to share information within an online community (or a “blogosphere” in tech-speak) while garnering response from site visitors and using the web to brand yourself to potential employers. All you have to do is type, click, and post – and the rest is web history. 1) Why do you want to start a blog? Take a long, hard look at that computer screen and ask yourself why exactly you’d like to start blogging. This is an easy step to skip but one you’ll regret if you do. Your answers to this basic question will key you in on what kind of a blog you’d like to whip up, your short and long-term goals for writing a blog, and your target audience. 2) So why, exactly, do people start blogs? Different strokes for different folks. Are you the confessional type who wants someone other than your best friend or a boyfriend to comment upon your choice of outfits for next week’s job interviews? Blogging can be a perfect tool to attract public feedback for private matters while also being an effective way to let friends and family in the loop on what’s going on in your life. Are you the professional type looking to land the gig of a lifetime and establish connections within your field of interest? Blogging is now becoming a go-to technique many firms turn to for generating buzz about their services and products, but it needn’t be only for the Fortune 500’s out there. If you’re an aspiring artist, journalist, or media devourer, blogging can be an effective platform for some show-don’t-tell bragging about your work and talents. And if you’re good, you might be able to turn your blog into a launch pad for book deals, national publicity, and even hit films. Are you a self-professed foodie? Do you love traveling the seven seas and snapping up rolls of film while you’re at it? Or maybe you’re the type who can’t live without having at least five vintage boutiques within a five-mile radius. Free yourself up to explore your passions and hobbies via blogging – not only is it a fun sidekick but you’ll also be able to reach out to others who share the same interests. 3) SO many possibilities – how do I get started? 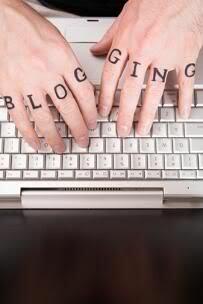 The best way to begin dissecting the art of blogging is to just do some poking around online. If you’re a fashion whiz and aspire to be the next Rachel Zoe, window-shop The Style Rookie and other likeminded sites . And if you live your life on Facebook and are attached at the hip to social media buzz, you’ll want to look into Mashable before using the web to publish your own punditry on new media. Do your homework on this one – there’s no way you’ll be an effective blogger without taking some hints from the pros. 4) I don’t know the first thing about HTML – can I still blog? Most definitely. Again, there is a huge range of bloggers out there – from those who earn a six-figure salary by streaming ads through their sites to those who are happy cultivating a readership of twenty. You don’t have to really understand the ins and outs of HTML, CSS, or other complex programming software to get your blog off the ground and into high flight. If you’re not exactly tech-savvy and you’re not willing to spend the time to learn the ropes of web design, it’s best to use hosted blog software. Some popular ones like Blogger , WordPress , and TypePad are ideal for beginners with easy-to-navigate features. Blogger and WordPress are the most popular host sites on the market are both free, while TypePad costs at least $8.95 per month.Hosted software allows you to manipulate your site layout, customize your dashboard settings, and decide which features go where on your site – all with minimal hassle. And the best part? Having someone to call when you just can’t figure out how to get pictures from your sister’s birthday onto your blog! How often should you blog? Should your posts be short and sweet, long and lanky, or dominated by Photo-shopped visuals? And what are the current best practices when it comes to comments? All of this really depends on the type of blog you have, but there are a few basic pointers. If you’re at the helm of a personal blog, then posting once or twice per week is considered the acceptable norm. Although many popular or professional blogs may hit the tape with news multiple times a day (or even an hour! ), don’t feel obligated to keep up if you’re on a full student schedule. For the matter of length, there really aren’t any hard-and-fast formulas that will guarantee you the maximum number of site visitors. If your blog is all about dissecting today’s financial issues, you might find it difficult to limit your discussion of the econonmy to less than 150 words. And if your blog is geared towards a teen audience, think twice before publishing something that you don’t even have the stamina to finish reading. And you should always respond to thoughtful comments or questions from your readers. Always. It’s one of the best ways to generate talk around your blog and goes miles to encourage your current followers to keep reading. 6) How do I get out the word about my blog? Start with your immediate network. Your strongest and longest support will come from those who knew and loved you before you decided to enter the fame game with your blog. Get them on board first and ask them to spread the word to others! Next, load your blog’s link onto your Facebook profile, and sign up for a Twitter account if you don’t already have one. And if you’re blogging for professional reasons, make sure you also include a link on your LinkedIn profile. Every time you post something new, update your Twitter followers, Facebook friends, and Gmail chat partners about it. Sync your social media marketing so that the same blog name and link appears on all of your media targets. Be sure to customize your blog settings so that visitors can easily comment directly on your post, Tweet about it to their friends, or syndicate your posts through an RSS feed. Remember also that what goes around comes around. If you’d like other bloggers to take a look at your material, why not leave some comments about their content? While unbounded catharsis might be your thing, watch out before your comments and posts get personal in ways you might not have expected. Many bloggers, regardless of how much web or publicity experience they might have, run into that little issue of ethics. Standards and situations vary widely, but following a few simple rules might save you from losing your job, losing the respect of friends or family, or soliciting the scorn of blog commentators. If you’re currently applying to internships and jobs, or about to break out of the academia bubble, you’ll need to consider how your blog reflects upon your professional reputation and career prospects. Unless it is your job to contribute to your firm’s public relations campaigns via blogging, stay away from posting anything about your employer and your job. This includes everything from personal names to copy room gossip to firm-protected information. And even if you currently intern for a consulting firm but would like to blog about a recent trip you took to Thailand, it never hurts to clear this over coffee with your boss. Remember that anyone can see what you write and snap with a camera or camcorder. And anyone will be able to quickly dig up your posts by doing a thirty-second Google search. “Anyone”, by the way, includes your mother. So unless you choose to blog anonymously, be discrete about your topics and tone. Do you have your own blog? Post a comment and link to it!